In a Nutshell: One of the oldest credit unions in the US, Patelco Credit Union is also one of the most accessible. With 36 branches, more than 6,000 shared branches nationwide, and mobile and online banking technology, Patelco’s services and products are never out of reach for members. Membership is open to Northern California-area residents and employees or members of more than 1,100 companies and professional trade organizations. Patelco’s interest rates and account offerings are positioned to increase the likelihood of success for anyone repairing or building their credit profiles. Additionally, the institution’s Financialocity program is designed to educate anyone — member or otherwise — on ways they can improve their credit and economic well-being. While banks and credit unions were once simply places where you stored your money and took out an occasional loan, those roles have since evolved. Consumers are more involved in their own finances, and tools once available only to accountants and money managers are now accessible from smartphones and web browsers. Big banks, long thought to be a vastly superior choice for financial technology over credit unions, are no longer the only option. Michelle Anderson, VP of Consumer Lending and Card Services at Patelco Credit Union, calls it a “credit union movement.” Patelco Credit Union and other not-for-profit credit unions nationwide reinvest revenue into lower rates, new products, and technological innovations to make managing finances easier. Patelco Credit Union’s Michelle Anderson told us every decision is made with members’ interests in mind. Patelco opened its doors to employees of Pacific Telephone & Telegraph Company in 1936. In 1983, other Northern Californians became eligible for membership. While the institution’s main branches remain in Sacramento and the San Francisco Bay Area, membership is open to employees or members of more than 1,100 businesses and professional trade organizations. With more than 6,000 shared branches, Patelco’s 300,000 members have access to its services all over the country. Patelco offers banking accounts, loans, credit cards, and investment products with better than average rates and terms. Numerous online tools for increasing financial literacy, setting monetary goals, and learning more about your economic well-being set Patelco up as a favorable option for those with credit that is new or not yet established. The first step in rebuilding your finances can be the hardest one to take. 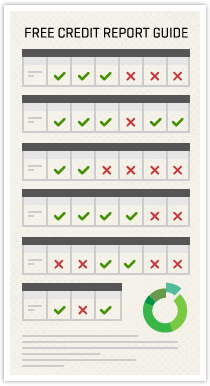 Many start with a budget, but quickly feel overwhelmed by the numbers on the page. Most people don’t have a money manager programmed into their speed dials, so balancing those figures becomes yet another hat we have to wear. Patelco’s online tools and educational courses put more power into your decision-making, providing both virtual and live resources to walk you through the steps to clear the financial fog. Financialocity is the company’s latest educational offering. Open to anyone, even non-members, its modules guide users through important financial tasks, including setting up an emergency fund, preparing for large purchases, managing credit scores, collecting social security, and planning an estate. Financialocity is designed to take advantage of the latest fintech trend of gamified educational programs, meaning they’re designed to feel like a video game instead of traditional financial software. Each Financialocity lesson is quick and to the point, so you can digest the knowledge in small increments, or sit and learn for hours if your schedule permits. 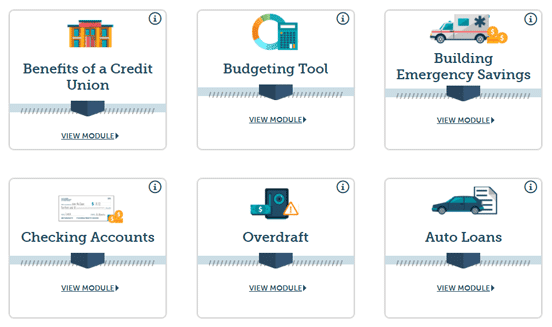 Financialocity modules allow users to learn at their own pace about money-related topics. For those with the time to talk with a counselor, debt management programs, including a partnership with BALANCE (formerly Consumer Credit Counseling Service of San Francisco), give members the opportunity to review a free credit report, then create a budget with a counselor. Daily, weekly, and monthly sets of goals are aimed at helping members erase debt faster. Patelco also provides resources for those who need to consolidate or refinance their debt. Consolidating multiple debts with a single loan can make payments more convenient, and obtaining a lower interest rate will reduce monthly payments. Patelco’s debt consolidation loans are available in amounts up to $25,000 and periods as long as five years, with rates lower than typical credit card APRs. Combining consolidation loans with Financialocity’s resources and BALANCE counseling could be an ideal pairing for those navigating credit card debt. Because consolidation loans are only a tool, they should be paired with a proper budget and financial education to form an effective financial plan and avoid falling back into bad habits. While educational tools and counseling are helpful, Patelco’s deposit products are still at the core of its business. Interest rates on the company’s checking and savings accounts rank among the strongest in their respective classes, with a breadth of opportunities for holdings of all sizes. For those with a smaller amount to put aside, or anyone just getting into long-term savings, the money market account has no minimum balance and APRs as high as 3%. A $500 deposit can begin compounding interest and earn $15 in its first year. Growing your money without the risk that comes with investing in volatile commodities, money market accounts can be a good way to build a sustainable emergency fund that will only get larger the longer it remains untouched. For revolving lines of credit, Patelco partnered with Mastercard® for a series of cards that meet the needs of most members. The Pure Mastercard®, available as a secured or unsecured option, is the top choice of offerings for rebuilding your credit profile. The card boasts a no-to-low annual fee and interest rates between 6.95% and 10.95%. Offering 0% APR for six months on balance transfers, this card can be a good choice for lowering your debt load if you can pay off transferred balances before the end of the introductory period. The Progress Student Rewards Mastercard® offers students the chance to earn reward points, including a 2X bonus on a pair of their biggest expenses — school and groceries — while paying a low 9.15% to 13.15% on balances. Other cards are geared toward cash back or travel bonuses with rates similar to other rewards cards. With all of the options available, Michelle says each consumer needs to prioritize which card works best for them. And that advice applies to any financial product, not just credit cards. For instance, all of Patelco’s traditional consumer loans are equipped with the company’s loan protection program, which charges 20 to 40 cents per $100 borrowed, with the amount lowering as the loan matures. Unlike interest fees, however, loan protection costs can pay off if members experience a dramatic life event. “It’s an agreement between the credit union and the member,” Michelle said. “The member pays a small monthly fee, and the credit union agrees to cancel payments if certain events occur in their life. Disability, death, and unemployment are some of those events that could occur. As with any business that’s been around more than 80 years, multiple generations of customers have walked through Patelco’s doors. Michelle says that many of its members have children who have gone on to become account holders. To meet the needs of its changing client base, the credit union expanded its consultation services to include student loan debt. A Facebook program is in the works that will help younger members learn about fiscal responsibility before debt begins to accrue. The Financialocity program is available to anyone, and the partnership with BALANCE gives members a chance to resuscitate their finances. With account access available in nearly every state through shared branches, Patelco offers services and access once exclusive to big banks. Michelle says the programs are in place not only to help members make their way out of debt now, but to see them thrive under a fresh start and help their goals become reality.